First impressions are made with a smile! 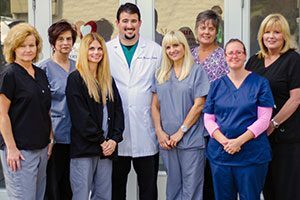 Our dental hygienists have over 20 years combined experience. They are all board certified and licensed to practice dental hygiene in the state of Pennsylvania. They continue their education each year with special courses in periodontal disease and the connection it has with the health of the body. Our hygienists are active in the community and give many hours of their time in community service.